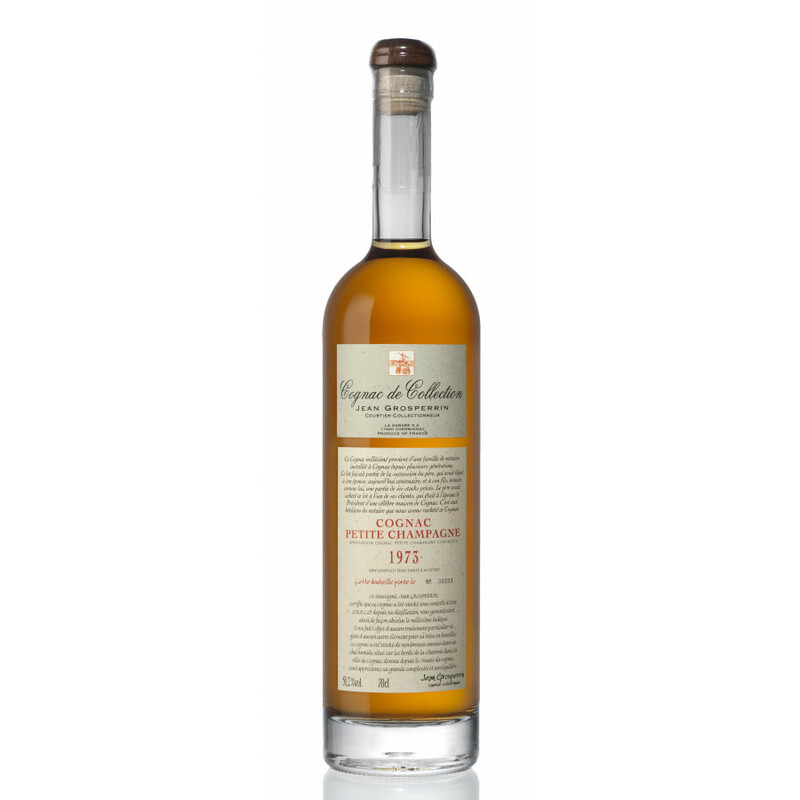 Grosperrin Millesime 1973 is a Petite Champagne vintage from this artisan cognac house. Presented in a traditional style bottle and presentation box, this is a delightful old cognac from the reputedly oldest cognac house around. A perfect cognac to enjoy as a digestif at the end of a good meal with friends - just be sure to have the time to savor and enjoy this quality cognac.